Birthdays, Bonfire, BBQ's and more! 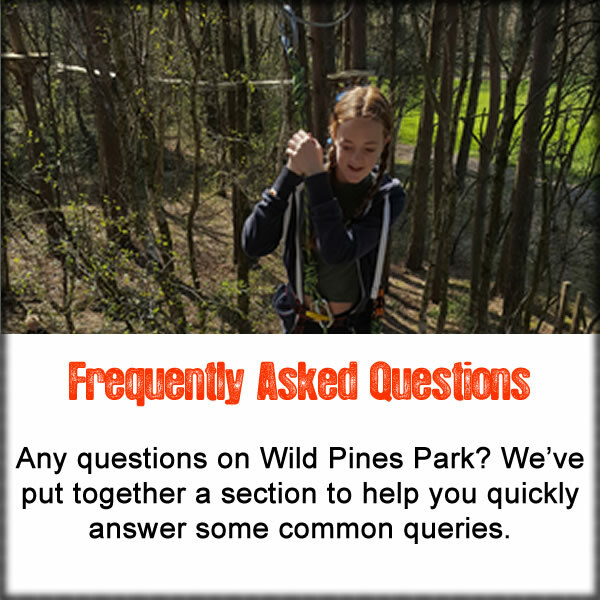 Wild Pines Park is more than just an activity centre. Why not pop in and just enjoy our amazing woodland. We are open 10am to 4pm Tuesday - Sunday and everyday in the school holidays. There is no cost to come and enjoy the woodland, just leave it as you found it. You can hire our BBQ to have a bite to eat, have a bonfire at our bonfire pit and melt some marshmallows. Explore and discover secret areas, try our treasure hunts and other games we have. Throughout the year we host a multitude of events so keep an eye out on the website and social media for what's coming up. In 2019 we will be having outdoor gigs,outdoor night cinema, outdoor theatre at Wild Pines Mini Ampitheatre, Easter egg hunts, Halloween experiences and more.